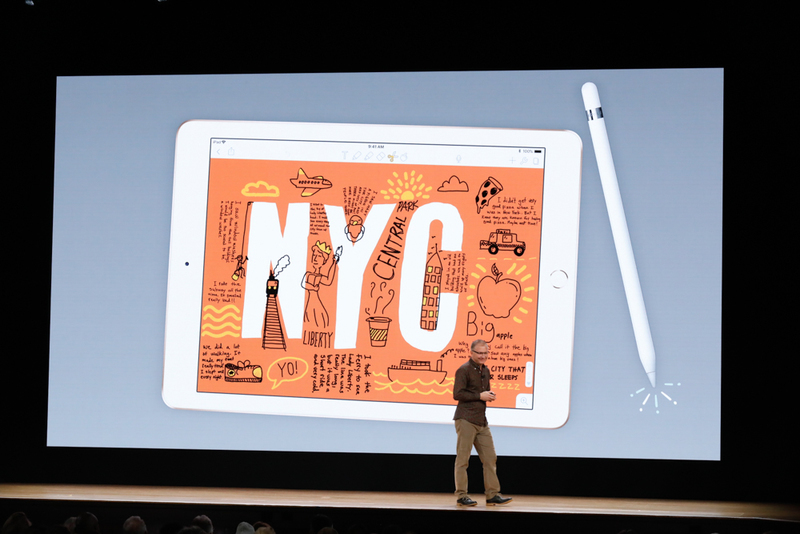 Pages and Apple’s other free apps support Pencil. 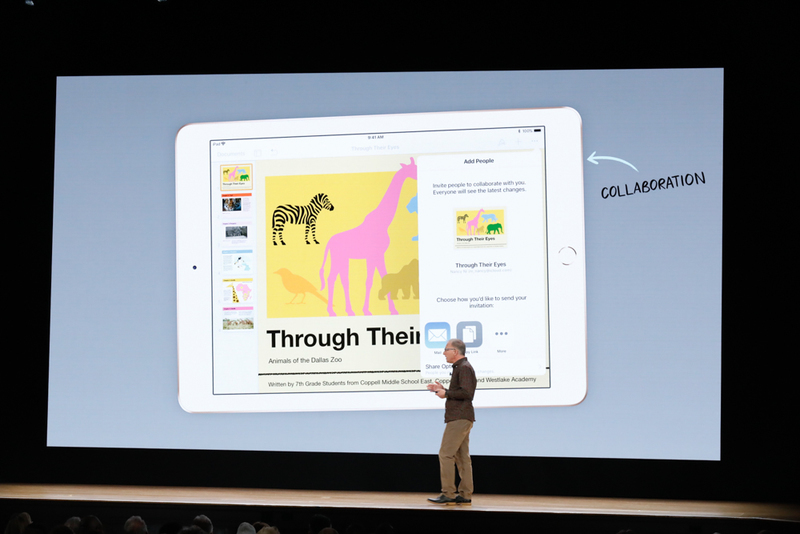 "Now kids have a whole new way to showcase what they're learning"
Pages being shown on stage, mostly. 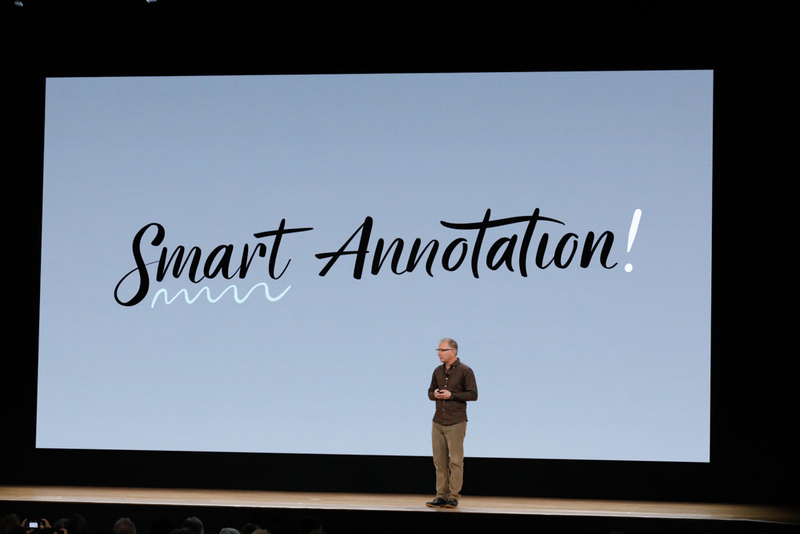 Smart annotation added to Pages. "Now you can simply write or add marks on the Pages document itself." Even when editing, the pen markups move to stay with text. Pretty cool. 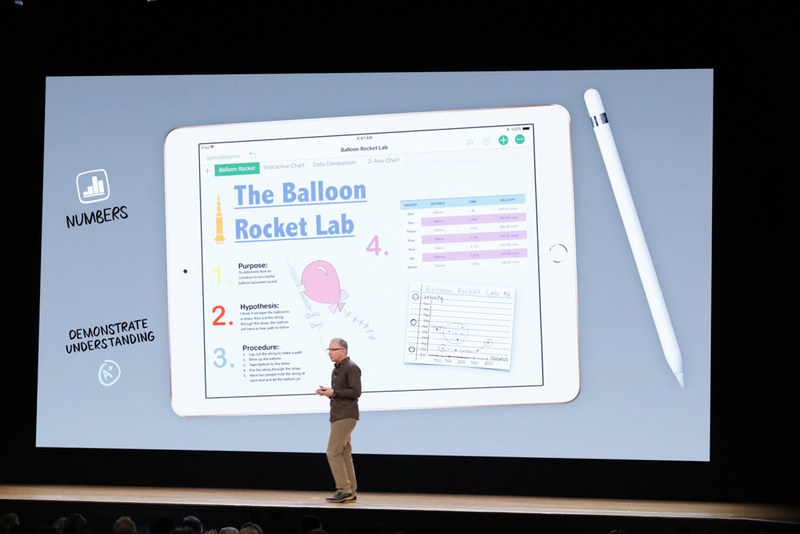 "Pencil support is such a natural extension of iWork and it's perfect for education"
"You can make the content relevant to the kids in your class." 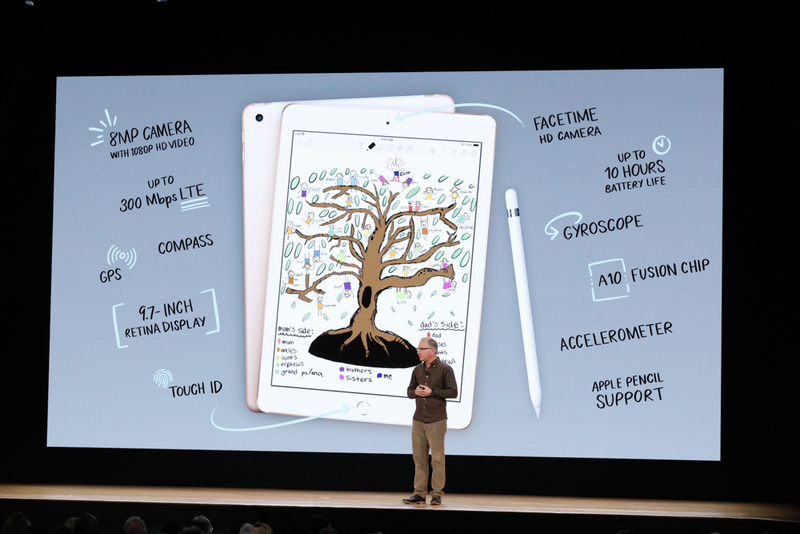 "Today we're bringing digital book creation to the iPad"
Digital books: coming to iPad (crazy it wasn’t there before,) Built into Pages. "And we're building it right into Pages"
"It's got everything you need to make a digital book"
Reports, stories, lessons, novels: new creative book mode tools. "The pages of your digital book come alive. You can easily add your own interactive image galleries and photos... you can easily add videos with sound." Videos can be added to Pages books. 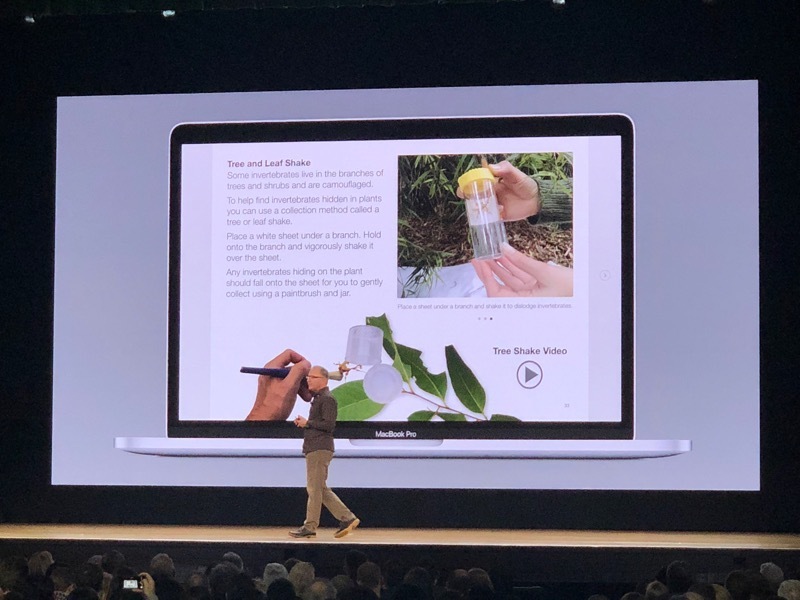 "With Apple Pencil you can personalize your book even more with your own illustrations"
"Pages has group collaboration built right in"
Can add own illustrations, create a children’s book. Pages diving into full-on creative tool. 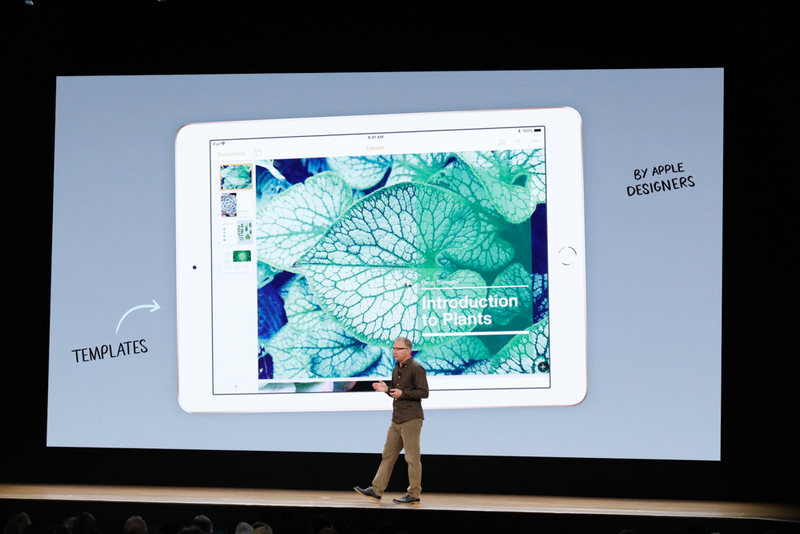 "This is a game changing version of iWork. 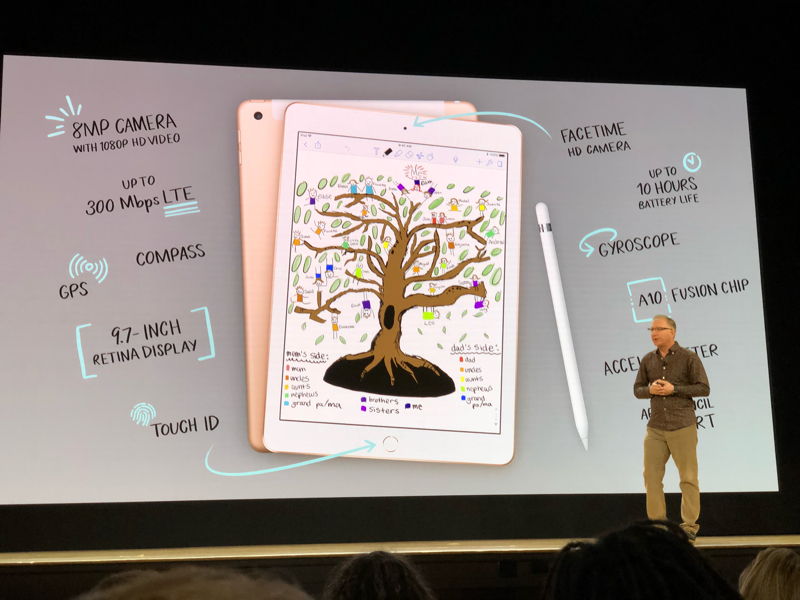 All three apps come loaded onto every iPad for free"
"Our most affordable iPad now with Pencil support ... is designed to be the ultimate tool for education." "iOS is the largest AR platform in the world." Here we go as I expected.